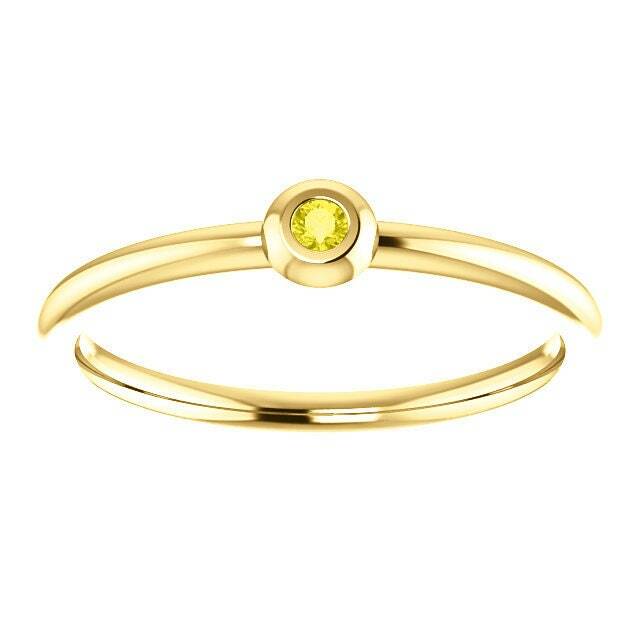 *Sapphire Band Not Included and is sold separately. 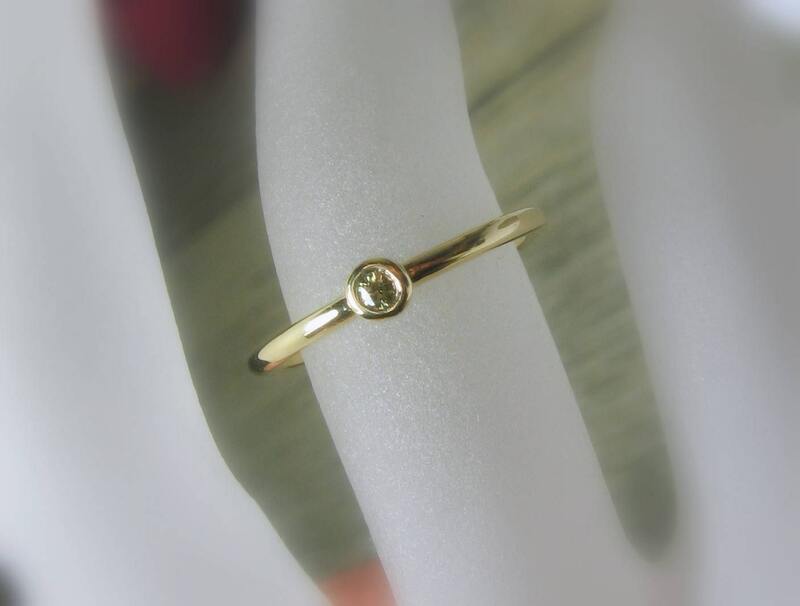 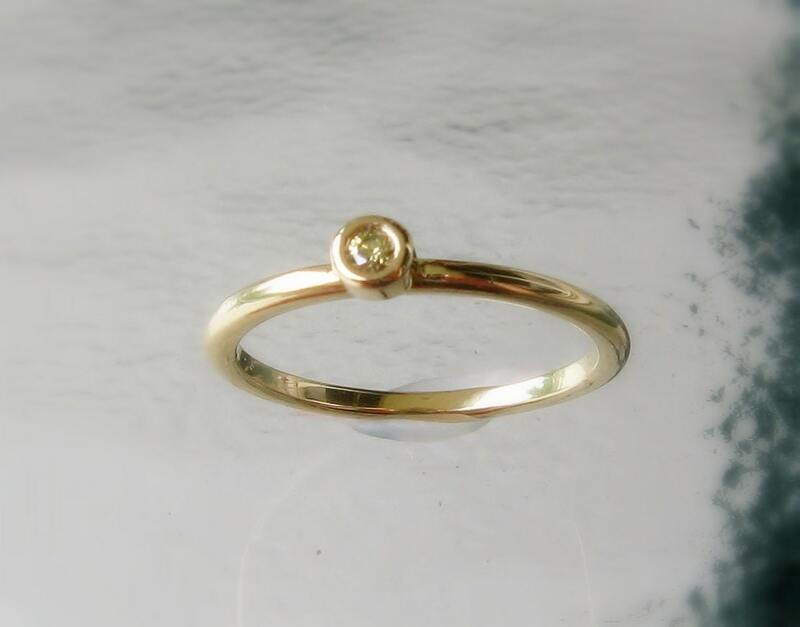 A 2.5mm yellow diamond bezel set in a stackable, Full Round, 2mm x 2mm solid 18k Gold setting. 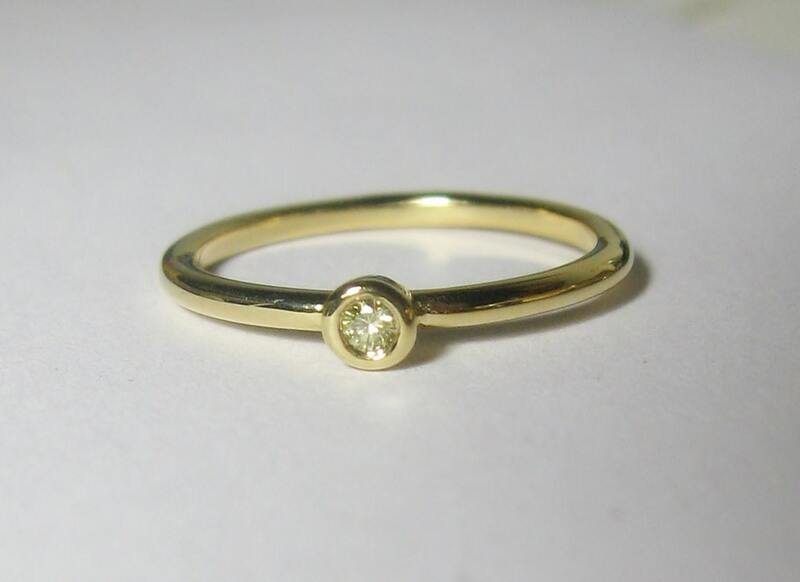 Superior Quality made to last many lifetimes. 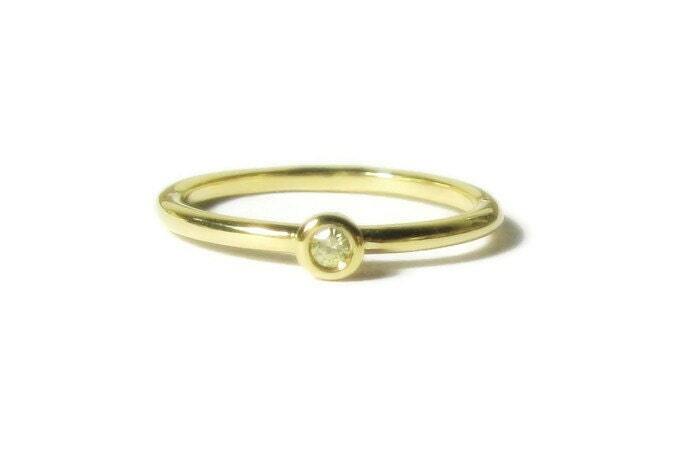 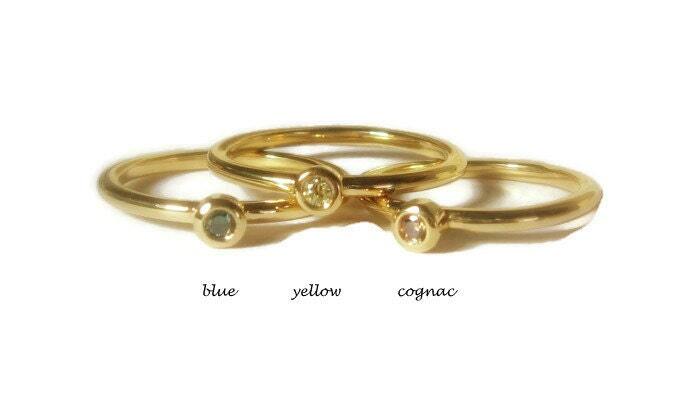 This ring would make the perfect engagement/promise ring for the minimalist or an elegant, understated stacking ring. 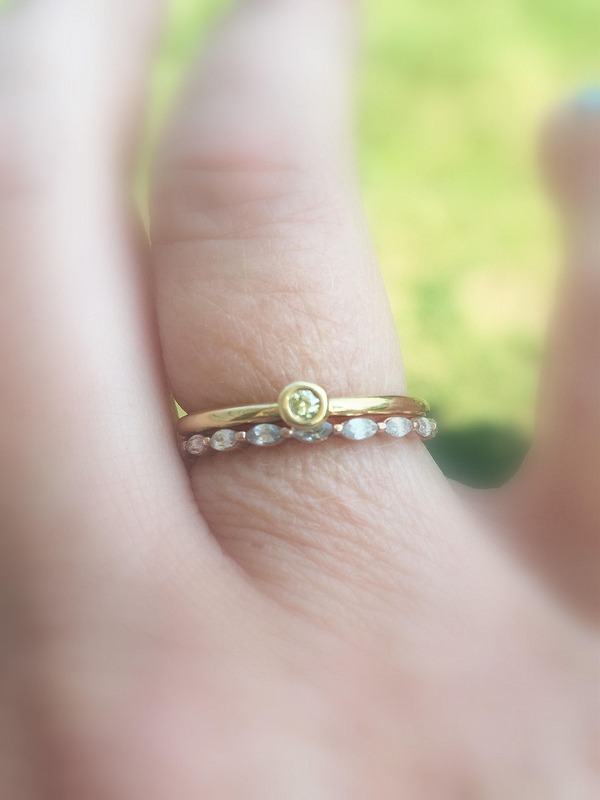 Matching wedding band available upon request.